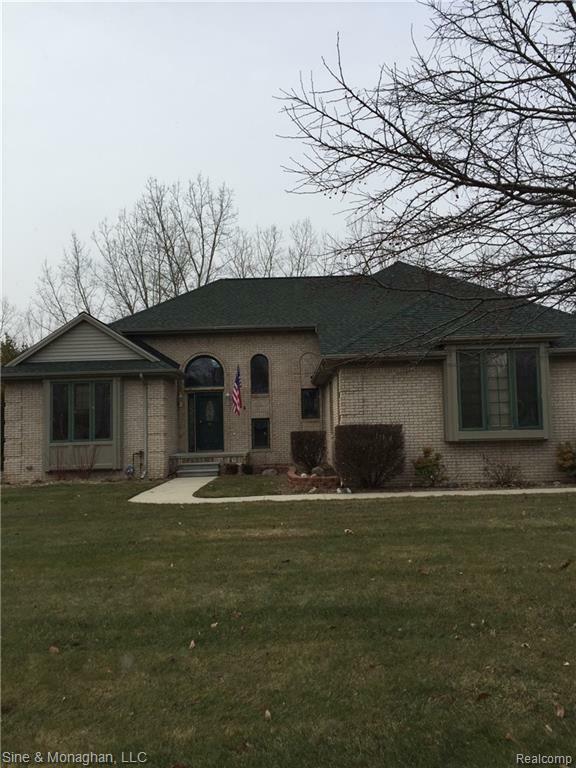 Beautiful 3 bedroom, brick home with a three car heated garage in a fantastic neighborhood. Custom cabinetry, pull out shelves, granite counter-tops, gas fireplace in living room with built in entertainment center, skylight, cathedral ceilings and plenty of storage throughout. Additional 1/2 bath in basement. Large back yard patio. Underground sprinkler system. IDX provided courtesy of Realcomp II Ltd., via Sine & Monaghan Realtors Real Living Llc Sc and Realcomp, ©2019 Realcomp II Ltd. Shareholders.